>there is a tiny slice of surreality nestled near inman square, which i was tempted this afternoon to traverse. you would think that, as a purveyor of food within the confines of the neighborhood, i would have already hit it up in my five-plus years living in cambridge. this mysterious, mysterious place is none other than johnnie’s foodmaster. if you can’t tell from the name, it’s a grocery store, and it’s so shades++ that it doesnt have its own official website. it’s larger than a convenience store, with an honest-to-good deli, seafood section, bakery, and frozen section. however, it’s a family business and not anywhere near the scale of shaw’s or whole foods. but even more so, there are tiny quirks that catch you off-guard. not bad, just completely bizarre. is carpeted. do you comprehend? a carpeted supermarket. ANOMALOUS. the place is clean, all things considered, but you don’t want to look too closely at the artifacts that have accumulated on the industrial pile over the years. 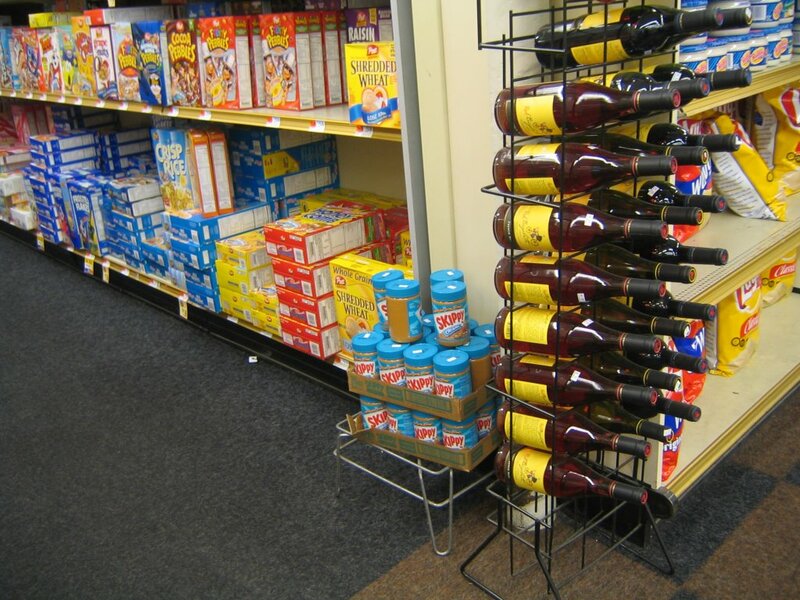 also, it’s a supermarket that also has a beer/wine section. 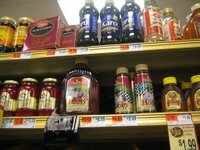 i never understood why places like whole foods and trader joe’s can carry alcohol, but more mainstream supermarket chains cannot (or choose not to). the alcohol at johnnie’s is incongruously sandwiched between aisles of kashi cereal and rotisserie chicken. the pic on the above right is a special on a ros� wine plunked next to skippy peanut butter. i love it. 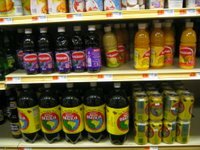 also, after perusing the aisles, you notice some different types of brands and flavors. 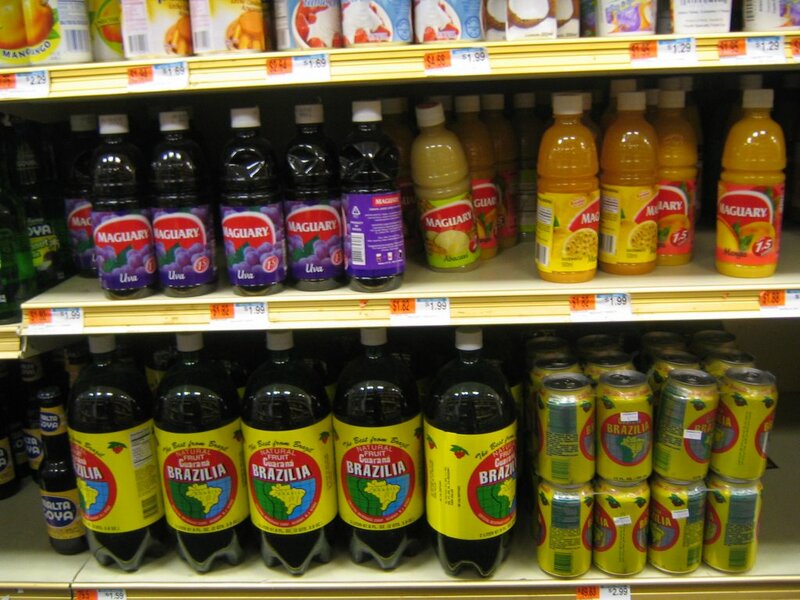 i imagine the market caters to the brazilian community, but also townies that have been there forever. 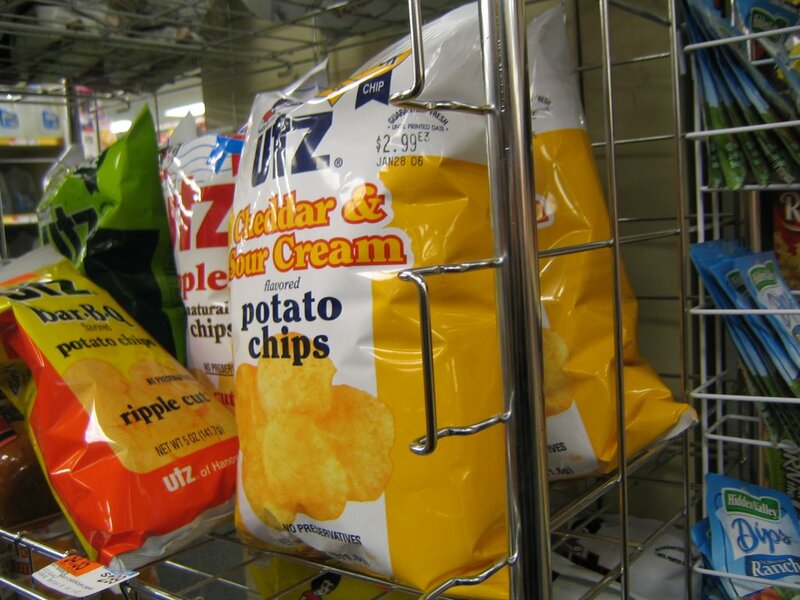 for instance, see the utz chips? (my dad loves utz, so i’m very familiar with the brand, all east coast, yeaaaa…) but cheddar and sour cream flavor? seems plausible, but for a very specific consumer market. kind of like how some mcdonalds have the mcRib sandwich (for the bbq south), or clam chowder (for the nor’easterns), or lentil burgers (cuz india aint eatin’ beef). in maryland, there’s crab-flavored utz potato chips. does that sound as weird to outsiders as it sounds as normal to me, chesapeake native? the meat section was plentiful and *bloody*. i dont think i’ve seen as many choices for meat cuts, organs in one small area, and it was all very very red. fresh, though. 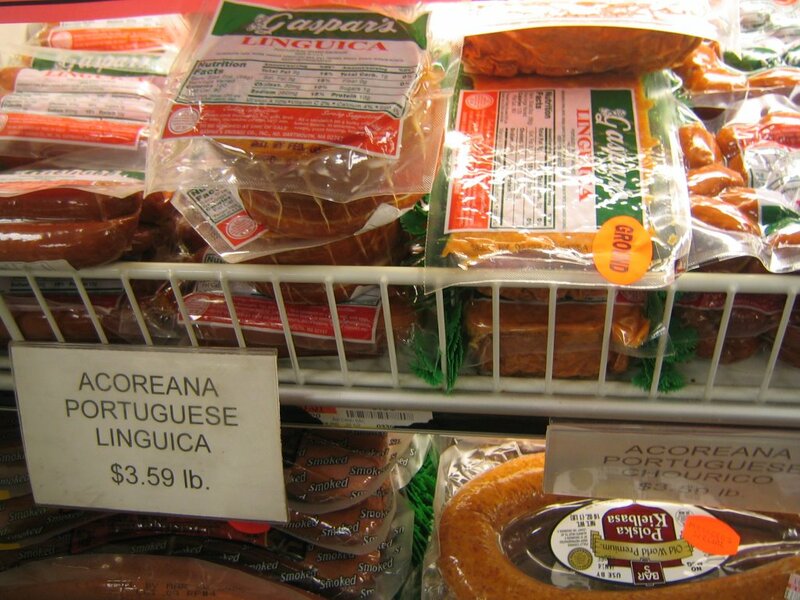 i was encouraged by the space allotted to the linguica, a sausage quite particular to portuguese eatings. 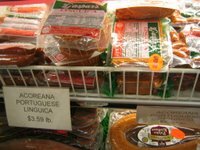 (i’m almost ashamed to admit i recall the ‘queer eye’ episode where ted brought the guy to a butcher who specialised in linguica, a specialty meat if you’re not in a major portuguese market. however, though i love ted, i have dumped the fab five since that horrible red sox debacle they aired on bravo.) 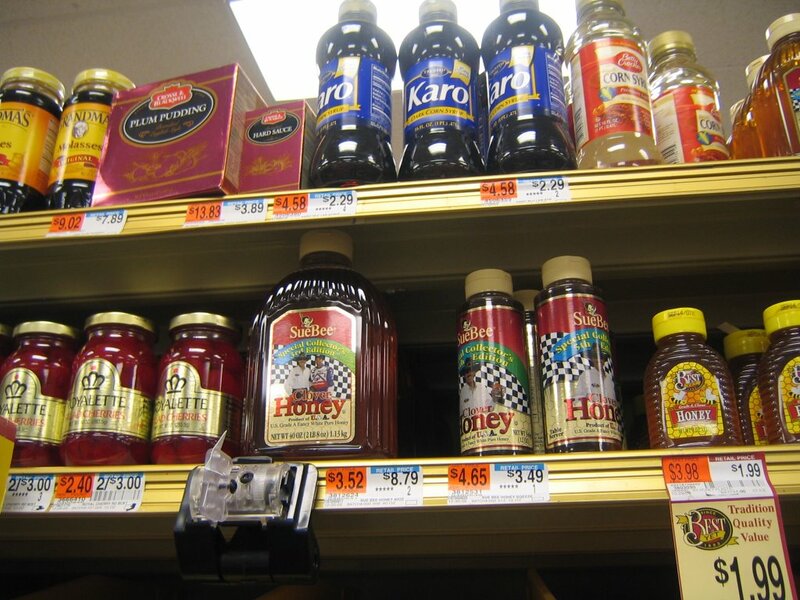 anyway, i’m sure there are plenty of places around inman and east cambridge which carry it, it’s funny to see it in a grocery store, flanked by hillshire farms and ballpark. i made it out alive, and it’s probably not the best or worst of groceries, but it’s worth it as a destination for experience alone. it’s one of those places where you’ll find something in the back of a shelf dated 1986, and you won’t freak out, but more likely think it’s a marvelous piece of history. it’s another place where you can be surrounded with piles of blood sausage and pig hocks and guinness. and, you know, the packaged chocolate sauce in chocolate bread cake. or whatever it got translated to. it’s worth a return trip. >curiosity sated: it was a slice of deli ham of medium (with definite depth, not one of those paper-thin shreds) thickness. your garden variety rectangular blob of meat, though quite generous, perhaps 5″ x 8″. i was a little hesitant, since i was not at all hungry (hello? S&S?) and though it was tasty i was left a tad salty and thirsty for the rest of my shopping experience.however, the love of ham knows no bounds. >I think there are certain zoning laws in Cambridge saying what stores can sell alcohol and what can’t. I live right near the Star Market on Mt. Auburn street (by the cemetary) and they sell alcohol, but I know the Star near Central Square doesn’t. And there are a couple of the big chains (S&S and Star) in Allston and Watertown that sell liquor/beer too, but not many outside the area that I know of. Massachusetts is weird.